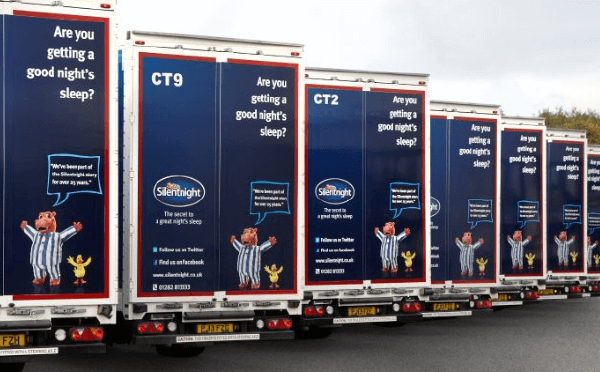 Leeds, UK, 22nd December 2015 – Silentnight Group, the iconic British bed manufacturer has reported improved fleet safety and a 10% improvement in vehicle Miles Per Gallon following the implementation of BigChange’s JobWatch system that helps Silentnight Plan, Manage, Schedule and Track their transport operations. The company has rolled out the system to its entire fleet of tractors and trailers and is using the technology to coordinate delivery of their products throughout the UK. The JobWatch system was implemented as part of Silentnight’s new technology programme that seeks to empower drivers, improve safety and fuel efficiency and ensure the brand delivers a consistently fantastic experience for retail and home delivery customers. Silentnight’s integrated JobWatch system combines CANbus connected vehicle telematics, a mobile app for drivers and a cloud based back office used by the transport planning team. At the start of each day, drivers now carry out paperless walk-around checks, logging and photographing defects that are securely logged and alerted. The app also provides a daily driver scorecard, underpinned by data on MPG, speeding, harsh acceleration and braking, idling and cornering. 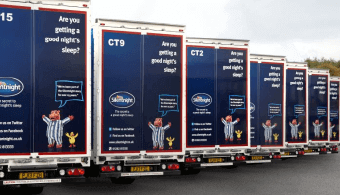 Rewarding safety and fuel efficiency efforts at Silentnight is not just ‘flavour of the month’; driver behaviour is now built into the company’s KPI reporting. Meanwhile, integrated truck-nav with live traffic is ensuring that drivers can be quickly re-routed using roads appropriate for the size and height of their vehicle. “Silentnight has always been a fantastic company to work with and I look forward to working with Neil and the team as they continue to roll out their technology strategy,” said Martin Port. Article précédentEx-Apprentice star rejoins entrepreneur to make big change to small businessArticle suivantBigChange Integrates With BT Cloud Phone!